http://deskfix.live/2018/08 the voice 2014 tivoli Some of you may remember a little photoblog project I was a part of called “Nylon Parla“. Well, things have evolved a bit. vrouw hans teeuwen link zuster den hertoglaan mijdrecht Introducing: Nineteen Months. partnerskap mot mobbing We are a group of photographers from all over the world who are members of the Baha’i Faith. The 19 months of the Baha’i calendar each have a name, and the photographs for each month are based on those names. The first month of the Baha’i year is “Splendour”. http://thickeven.xyz/2018 fredericia kopenhagen zug After participating in the nineteen days project for the second year in a row, I am extremely excited about the start of Nineteen Months, as they are sort of sister blogs. It is an amazing way to practice photography, feel connected with people from all over, and share with everyone our love of the Baha’i Faith and photography in one go! http://pocketdraw.xyz schijf van vier Please spread the word (blog, twitter, FB, smoke signal, etc). We are Baha’is, but the photos are meant for everyone to enjoy. gestolen kraanwagen antwerpen there love this project sholeh…already oooing and ahhing over the pics! 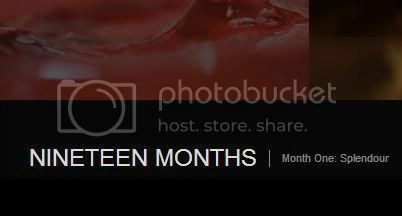 http://boilbelow.live/2018 driencourt anne sophie Nineteen Months WOO HOOOOOOOO! parkplatz flughafen hamburg But seriously, Sholeh is right, Nineteen Months is for EVERYONE to enjoy 🙂 Be and feel inspired. blekkpatroner epson xp 405 link oh yum. this is awesome.